I heart entertaining guests. It’s one of my top skills, really. A friend of ours from the good ole days stayed with us for the past week. I had his room all made up & brand new bath towels for him to use. His first comment after showering? “Umm Rach can I get a towel that doesn’t SHED ALL OVER ME?!?! ?” He’s the BEST, honestly. We showed him some great restaurants & bars. We went to a cocktail bar where he made the waitress wait half an hour before he ordered his drink because he really wanted to make the right decision. He ended up choosing a hot pink one & the rest of the night went swimmingly. But all he could talk about was wanting to make a celebrity guest appearance (he is not a celebrity) on the blog. I explained that I don’t really do that. There can only be one star of this show, ya know? But I must say he was a hell of a sous chef. While Garr ran out to get charcoal for the grill, he stayed behind to help me dice crap & even help me filet some daggum fish. Then we had ciders & the three of us fell asleep in our bed. It was awesome. So for that, Brian, you get a post. We miss you already! Sorry Panga ate your shoe. Dressing came from Thug Kitchen! 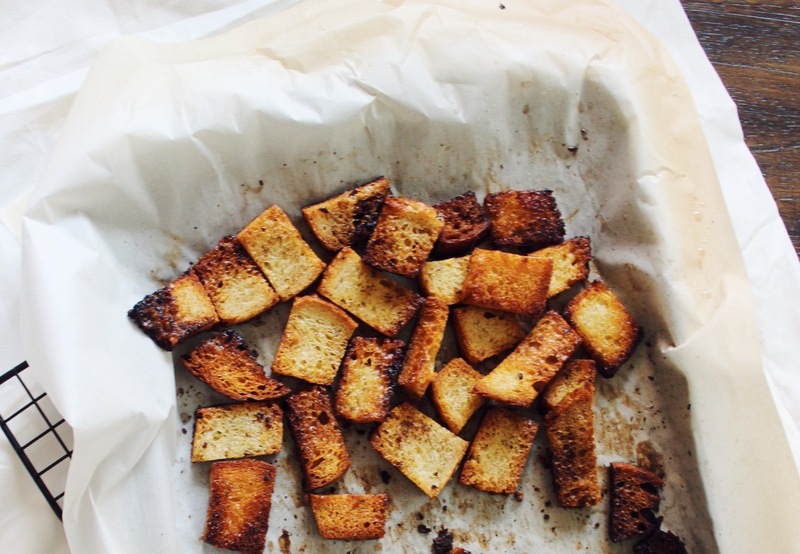 I can’t find the recipe online, but it’s in their cookbook. Just take my word for it. Isn’t it?! Thanks for reading! 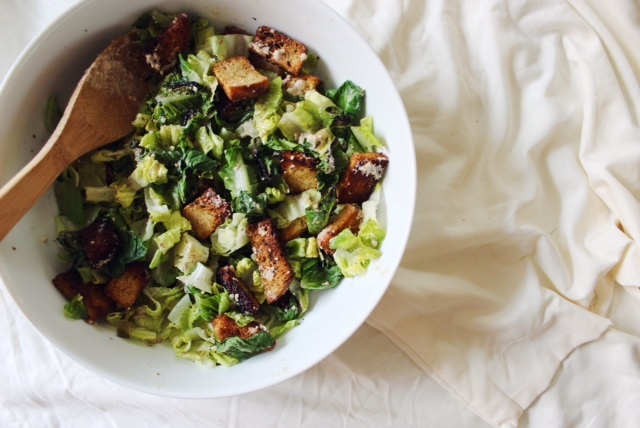 I have seen romaine lettuce grilled before, but I cannot believe I have never done it for a caesar salad. This looks amazing! Debbie, I know you & the hubs would love some grilled romaine! Give it a go! Yummy!! We had a grilled Caesar a couple weeks back and it was so good! Totally different. Brings out that great nutty flavor in the romaine! Exactly! 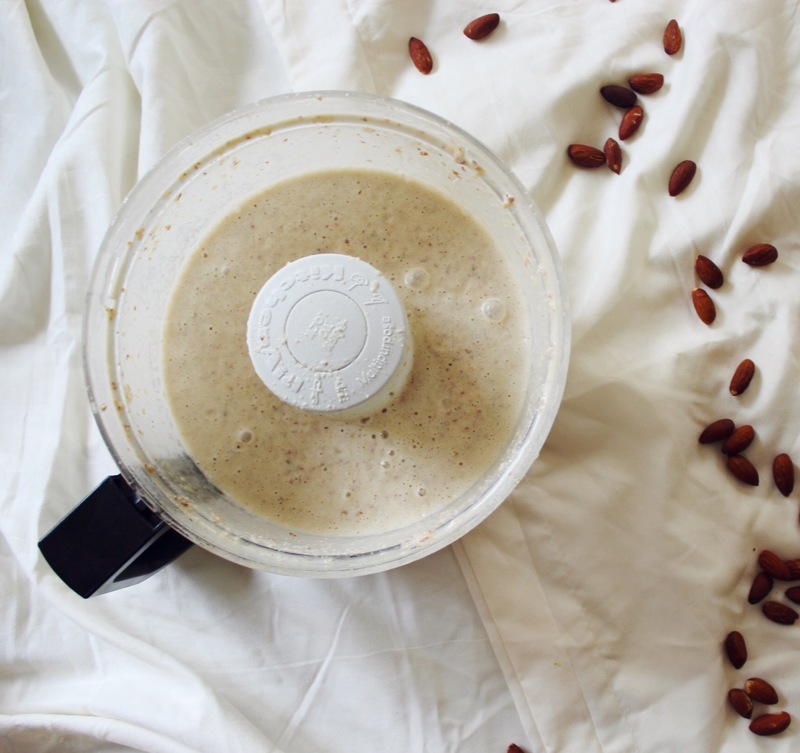 & the almonds in this dressing… It all just works so well together.Thanks for reading! Precisely! My blog is “my precious” in the creepy Gollum sort of way 😉 Thanks, friend! Ugh you’ll be pulsing stuff like crazy 😉 Enjoy! That dressing sounds really good. 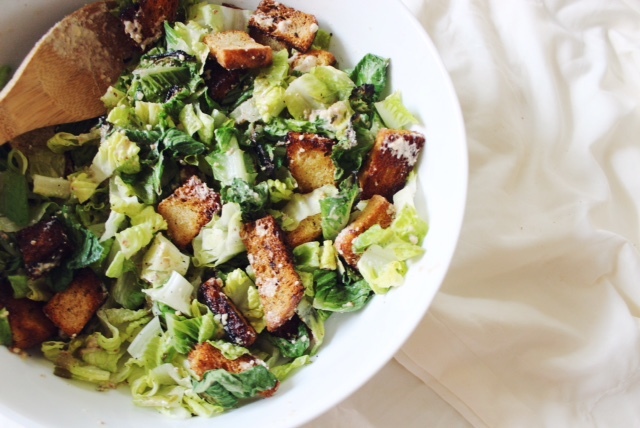 Caesar Salad on the brain haha! Dagnabit you caught me. I just have to get it outta my system before the fall. Grill up every darn thing I can find! Atta girl! That’s the spirit! 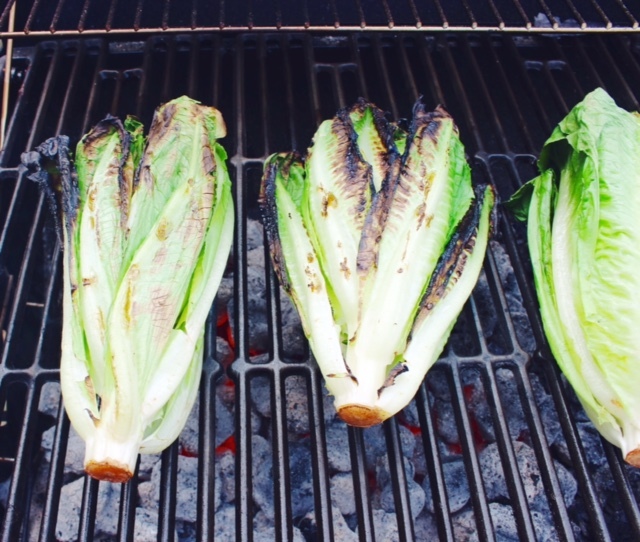 Wow grilled romaine hearts, what an idea!